According to Boston College Insiders, Top 50 player Robbie Beran has eliminated the Eagles from consideration and is now down to his final 3 of Northwestern, Georgia Tech and Virginia Tech. The news has to be somewhat deflating for the Eagles and fans as they were one of if not the first power 6 teams to offer Beran. The 6’9, 210 pound hybrid forward has already officially visited the Yellow Jackets, but has only taken an unofficial to Blacksburg. ETA: Beran will reportedly visit Blacksburg next weekend. Also of interest, Beran’s AAU Team Richmond is Adidas. 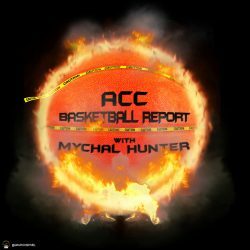 Previous PostPrevious ACCBR Asks: Who is the ACC’s best returning player?